New Books For The School! 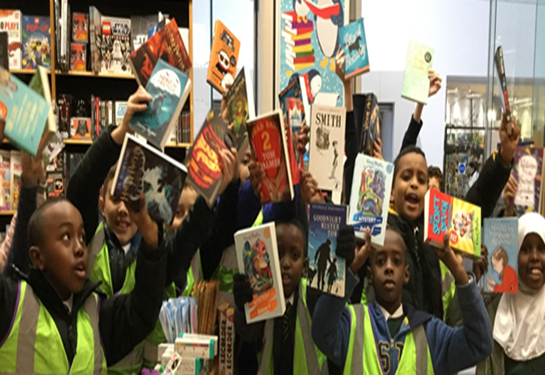 Children from all classes throughout the school have been visiting a local bookshop and enjoying the opportunity to choose new books for their class libraries. After being introduced to a wide range of new and classic books by the bookshop staff, the children made their choices. “I chose a book about a boy with a dislocated face who doesn’t fit in. I think going to Waterstones was a real treat!” (Abdullah Year 5). We would like to thank Waterstones staff at the O2, Finchley Road for the huge effort they made with our children. They were so helpful in guiding our children in their book choices.